Pain is a part of life, and it’s definitely a part of the routines of hairy women like me. Wearing a skirt or a sleeveless top on a hot summer day just isn’t right if there are little dark hairs peeking through, so we endure the pain of ripping all the unwanted hair out with wax. But isn’t it hard when the wax gets all over the place and leaves sticky spots everywhere? Not only that, but it’s frustrating when you discover areas that you missed after you have already cleaned up. 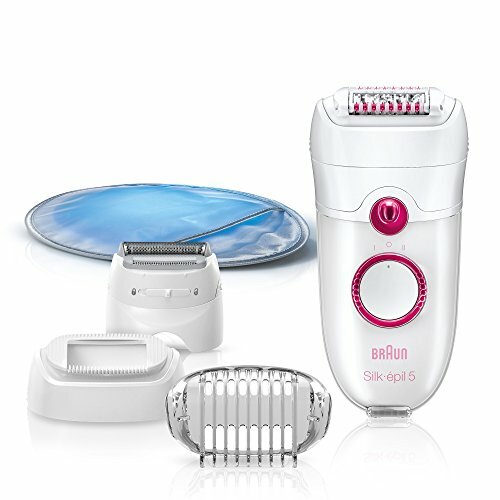 This is why I purchased and tried the Braun Silk-epil 5 Power 5280 Epilator. 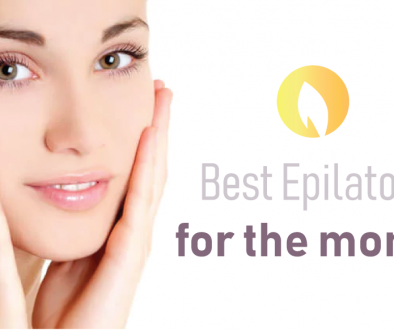 I’m new to the world of epilating, and from what I understand from the brief reading I’ve done, Braun is one of the popularly known manufacturers of the device. I’ve also read that epilating definitely hurts, and it’s a pain not dissimilar but still different from waxing because of the different method it uses to remove hair. Because I have been waxing for almost half my life, I know that pulling the hair out from the root will cause the hairs to grow back finer and more sparse, and that it’s not going to happen until after a week or so, so I expected this much from the epilator. The device claims that it’s easy to use. It also doesn’t look like it’s complicated or intimidating because of its cute, feminine design. It’s small enough to hold in one hand and hover over the skin to get to the hairs. What I was really excited about using this product was the claim that it can remove hair 4x shorter than wax requires. For those who do not know, wax can’t grab on hairs shorter than a fourth of an inch, so your body hair needs to be at least that long before you can wax again. This means you can’t wax at the first sight of regrowth, or until your leg hairs are noticeable again – one of the downsides of waxing. I put it to the test and I was really impressed by the results. First, the SmartLight helped me see everything so clearly, so for the first time ever, I did not miss a single hair. It was very easy to use and it wasn’t awkward because the pivoting head helped with “following the contours” of my legs and underarms. It was convenient and I did not have to spend an extra 10 minutes cleaning up after myself because of all the wax that has stuck to the floor or laying out old shirts and towels on the floor to prevent that. For less than an hour, I was done! Let us talk about the pain. I had been warned and I was ready for it, but it was really not that bad. It stung a little bit more than waxing for sure, I also winced the first few times, but it was tolerable and I didn’t mind it. It was probably because of my prior experience with waxing, although I’ve heard of people who were waxers and tried epilating that said it was a different pain altogether and was really bad. Personally, I found the pain reasonable. It was plucking out hairs one by one, after all. I got red bumps after the procedure but it was the same as I would get from waxing my legs, so I don’t mind that as well. I can’t attest to the claims that it keeps skin smooth and hairless for up to four weeks because I no longer have to wait that long to epilate again, and this only proves its ability to get as close to the skin as possible. The Braun Silk-epil 5 Power 5280 Epilator is an amazing device. 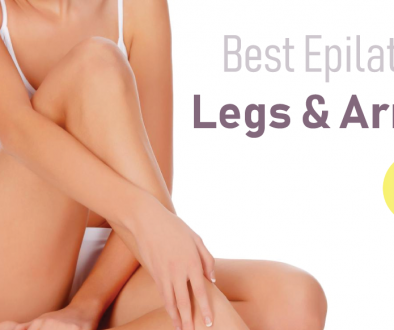 It’s great for epilating beginners and those who are looking for an easier epilator to use.